…and it’s going to be in Cosham, a northern suburb of Portsmouth, Hampshire. Due to open in February, this will be the first new Alworths store since the initially flurry of five stores that launched back in November. 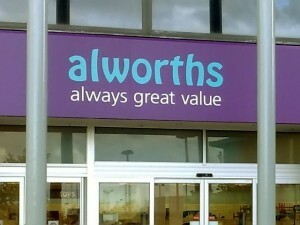 With a total of 22 stores slated to open during Alworths’ first year, one assumes that further announcements will be forthcoming over the coming months. 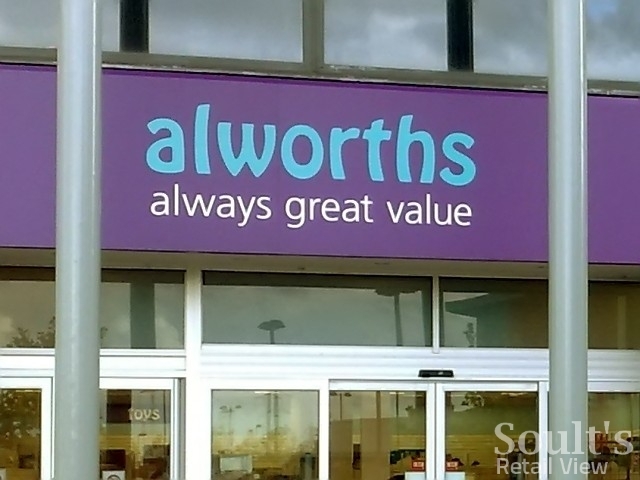 So far, Alworths stores have all opened in former Woolworths sites in the south of England, and have brought many former Woolies employees into the business. In these respects, the Cosham branch – seen here in its previous guise, and to be run by a former Woolworths manager – is no exception. As the number of available Woolies sites dwindles, however, it will be interesting to see the other types of properties that Alworths goes for, and the speed with which it grows beyond its current southern England heartland. Certainly, the experience of one of the other new kids on the retail block – Haldanes, the recently launched supermarket chain that has so far snapped up 26 Co-op and Somerfield branches from Scotland to Essex – shows that in the right market conditions, it needn’t take very long for a new retailer to build a nationwide presence.